Seed Shop Volunteers: Help set up the Seed Shop classroom; as children enter, help them find their name tags and be sure each child is checked in on the roster; help care for and play with infants in a safe and loving way, following policies and procedures in the volunteer manual; help break down classrooms after second service. Garden Volunteers: Help set up the Garden classroom; as children enter, help them find their name tags and be sure each child is checked in on the roster; help care for and play with toddlers in a safe and loving way, following policies and procedures in the volunteer manual; help set up and distribute snack; break down the classroom after the second service. Forest Assistant Teacher: Help set up Forest classroom; as children enter, help them find their name tag and be sure each child is checked in on the roster; help children participate in activities, being mindful of distracted kids or discipline issues and helping children follow instructions; help set up and distribute snack; help break down the classroom after second service. Treehouse Assistant Teacher: help set up Treehouse classroom; as children enter, help them find their name tags and be sure each child is checked in on the roster; help children participate in activities, being mindful of distracted kids or discipline issues and helping children follow instructions; help set up and distribute snack; help break down the classroom after second service. Welcome Table Volunteer: Set up Central Kids Welcome Table; look for visitors with kids, welcome them, and give them information about classes; create temporary name tags for new visitors, enter visitors' information into ChurchSuite; stay at table until children are dismissed from service, then assist in the Forest; break down and put away Central Kids Info Table after second service. ed; call no-shows and look for subs; check that supplies for lesson and snacks are in place; troubleshoot issues with volunteers and staff; lead Children's Ministry volunteer rally (read scripture passage, give announcements, and pray as a team); once children arrive, check that number of children matches number on attendance sheet; if able, assist in whichever classroom needs most help; help break down classrooms where needed after second service.  The Hospitality Team is responsible for all of the first encounters a person has with Christ Central as they walk through the doors on Sunday morning. Volunteers on this team help people feel welcomed and loved and provide the first impression of Christ Central (and the image of Christ) to new guests and members alike. This team is made up of seven people, sharing hospitality throughout the lobby in the following ways: greeting at the front and back doors to the outside (2), greeting and handing out bulletins at the sanctuary doors (2 downstairs, 1 upstairs), ushering people to their seats (1), and manning the Info Table (1). PowerPoint Volunteer: this person runs through the slides with the band and operates the PowerPoint during the service. Their role is to create a seamless and smooth experience for congregants to experience the worship and liturgy of Christ Central. Service Coordinators: this team of two arrives early to set up all the outdoor signage or stays late to clean it all up (depending on the service). During the service, the service coordinators monitor that all logistics are running smoothly and intervene when needed. Sanctuary Team: this team of three people prepares the sanctuary for worship or cleans up the sanctuary after worship. This includes the preparation of the communion elements, setting up the communion tables, and setting out pens and Bibles in the pews. After the service, this team cleans up all of the elements and leaves Hayti better than we found it. *This team is not responsible for serving communion, only preparing it. (The Sanctuary Team is more than welcome to sign up for the Communion Servers team and serve as well, but they are certainly not required to). The Communion Servers team is made up of 4 people who will serve wine/juice at each of the communion stations during the service. The communion table is a sacred place, and serving the blood of Christ is a sacred act. As such, this team will undergo special training on the sacrament of communion aside from other volunteer training. People who wish to serve on this team must serve in some other capacity (either on the same Sunday in a Service Ops role [Service Coordinator or Sanctuary Team] or a different Sunday on the Hospitality Team). *This team is not responsible for preparing communion, only serving it. Questions about these roles? Contact Meredith Miller at Meredith@christcentraldurham.com.